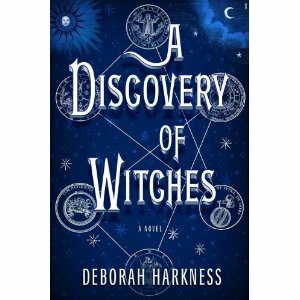 Not to long ago I finished reading A Discovery of Witches by Deborah Harkness. The book follows Diana a witch who tries her hardest to not use her powers after losing her parents. It becomes harder to do when she uncovers a lost manuscript and breaks its spell while researching for a journal article she’s writing. Suddenly vampires, witches and daemons come crashing into her life, one vampire swooping in in a way she never expected. This is a LONG book. And to top it off it’s the first in a trilogy something that I didn’t realize until I was on about page 500 and realized there was no possible way it could come to a neat ending with how few pages there were left. It took me a bit to get through A Discovery of Witches, for one it’s long and for two there were points were I was a bit bored. But it often didn’t last long. I’m a huge history lover so I really enjoyed the numerous ways they combined history and the roles that witches, vampires and daemons played. A Discovery of Witches is the adult version of Twilight with ridiculously better writing. The next book in the series doesn’t come out until 2012 so if you’re not patient wait a little longer to read it! I give this book 4 stars* and am adding it to my gotta own it list mainly because it’s a series and I <3 series! 5 Stars: Loved it, why did it have to end?